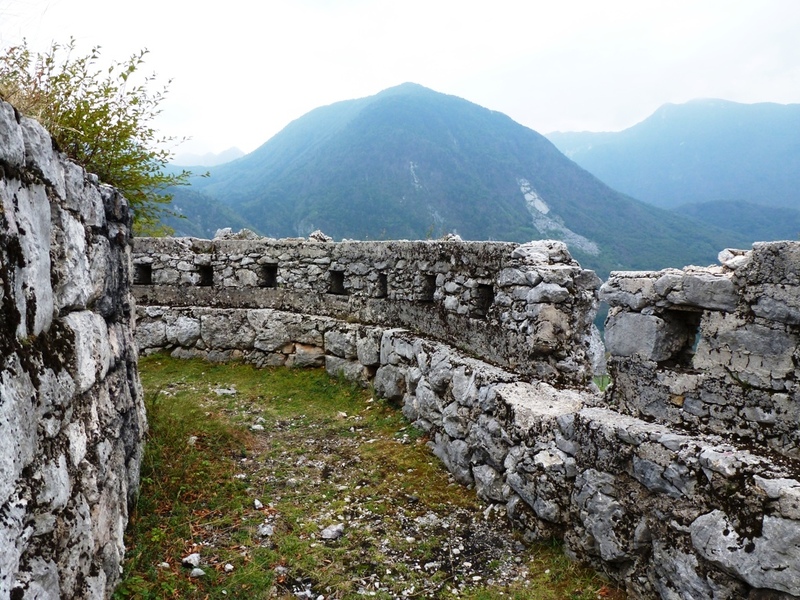 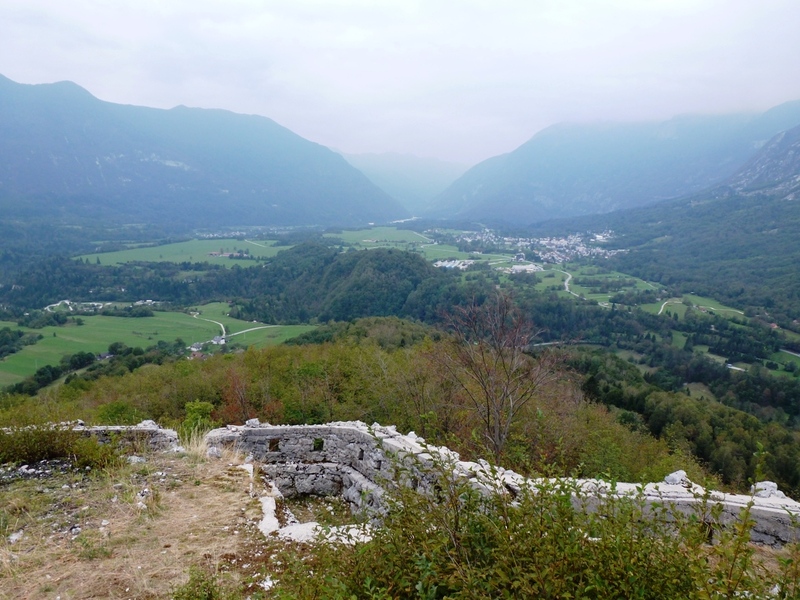 Austro-Hungarian gun positions on the slopes of Mount Svinjak at Čelo, overlooking the Italian positions in the Bovec valley where the gas attack opened the Battle of Caporetto on 24 October 1917. 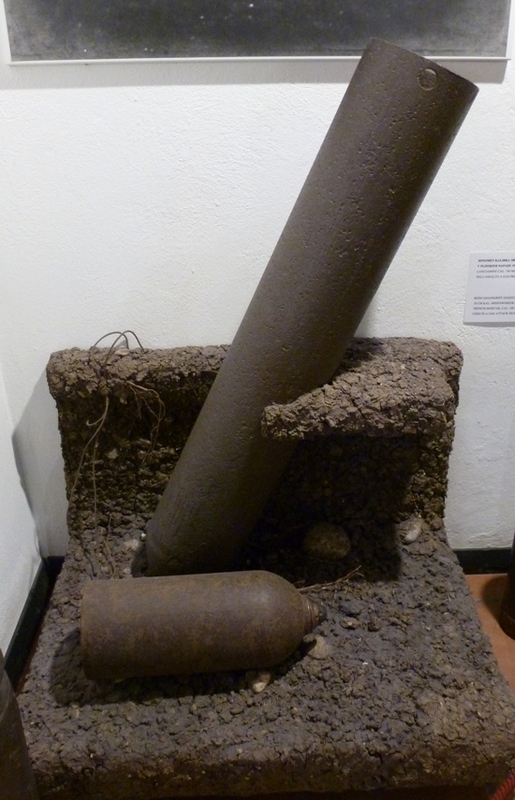 German gas projector in Kobarid Museum, used in the attack of 24 October 1917. 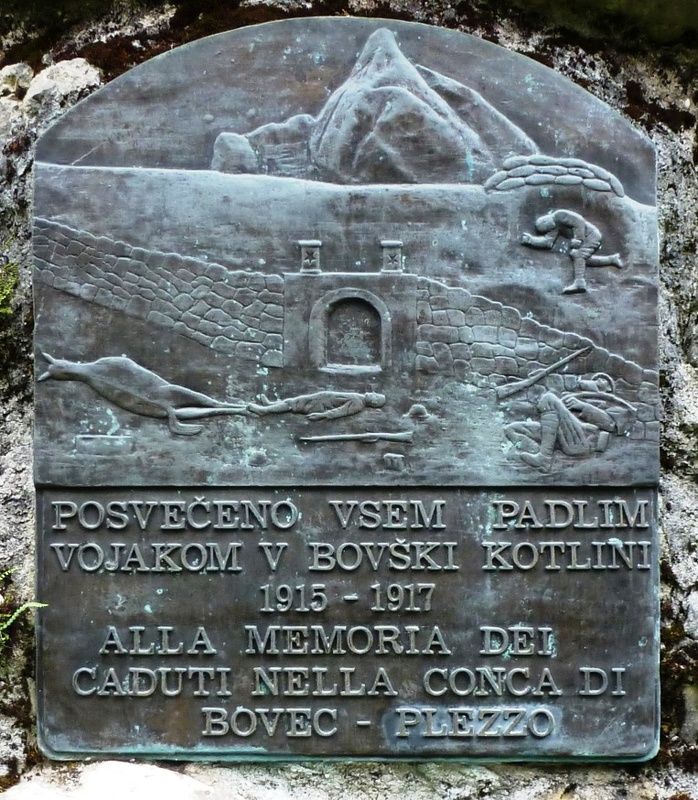 Memorial at Bovec to Italians killed in the gas attack.